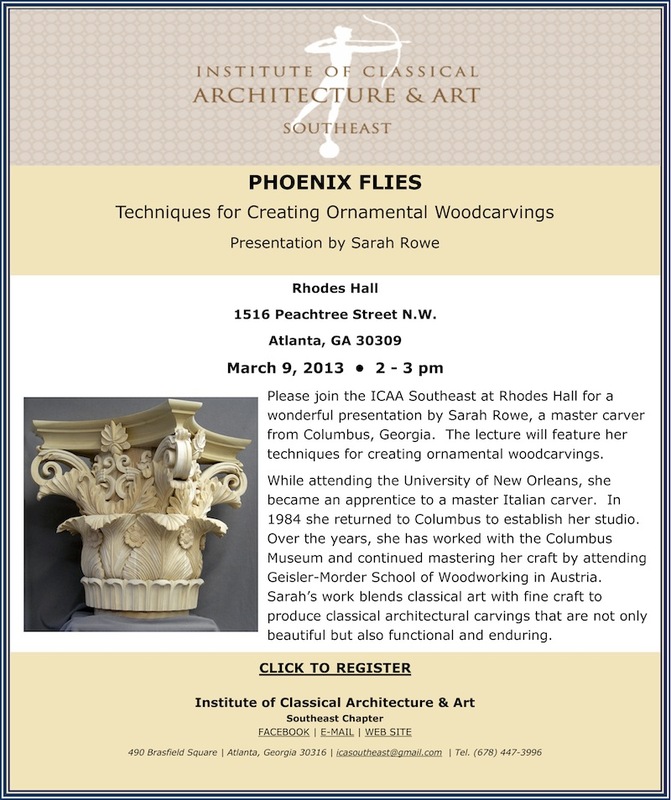 If you’re going to be in the Atlanta area this weekend, you might be interested in checking out master carver, Sarah Rowe’s free presentation on Techniques for Creating Ornamental Woodcarvings this Saturday, March 9th from 2-3pm at Rhodes Hall at 1516 Peachtree Street, Atlanta, GA 30309. Ms. Rowe is originally from Columbus, GA and began her carving career as an apprentice in college at the University of New Orleans, under the guidance of a Master Italian carver. After graduating she returned to Columbus and opened her own carving studio and has worked with several renowned organizations including the Columbus Museum and the Geisler-Morder School of Woodworking in Austria. Ms. Rowe has also been feature in our monthly Wood News. 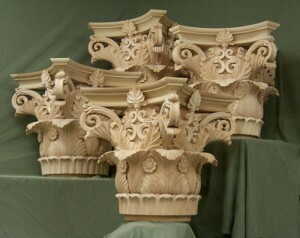 You can read the article about her carving in our July 2011 Show Us Your Wood Carving column by CLICKING HERE. To reserve your space in the presentation, CLICK HERE to go to the Institute of Classical Art and Architecture Homepage and sign-up today. And while you’re in town, make sure to come by and visit Highland Woodworking just a short drive away.